StudioWest is an initiative of the Westside store group, part of the Tata family of companies. 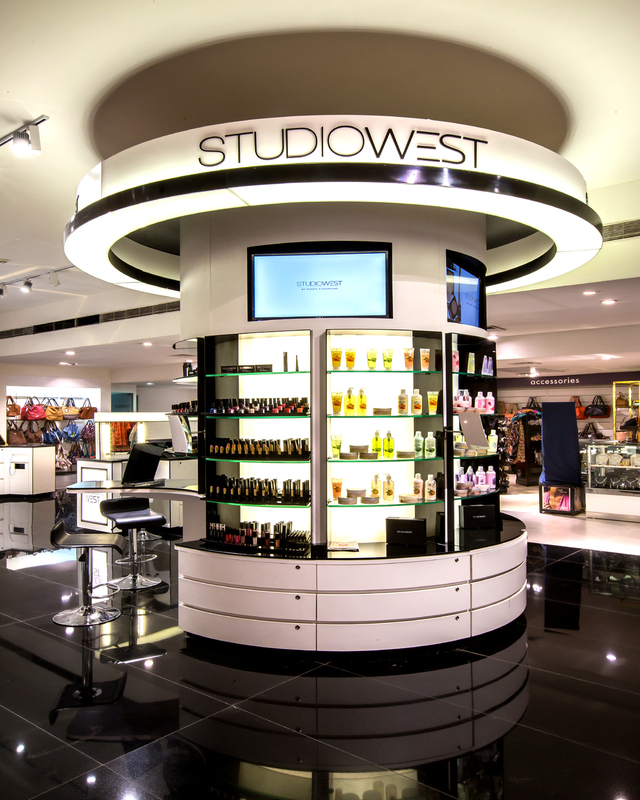 With the emerging role of women in the workplace, independent incomes, and aspiration on the part of the consumer to have products with international standards, but Indian sensibility; StudioWest, was developed to bridge the opportunity between international brands, and traditional Indian beauty and skincare products. This bridge, positioned to appeal to the contemporary, Millennial woman, provides a full array of color, treatment, fragrance, bath and body, and hair product.